Now available in All White, and White with Charcoal or Ironstone sides!! This finely crafted desk will give you years of use. 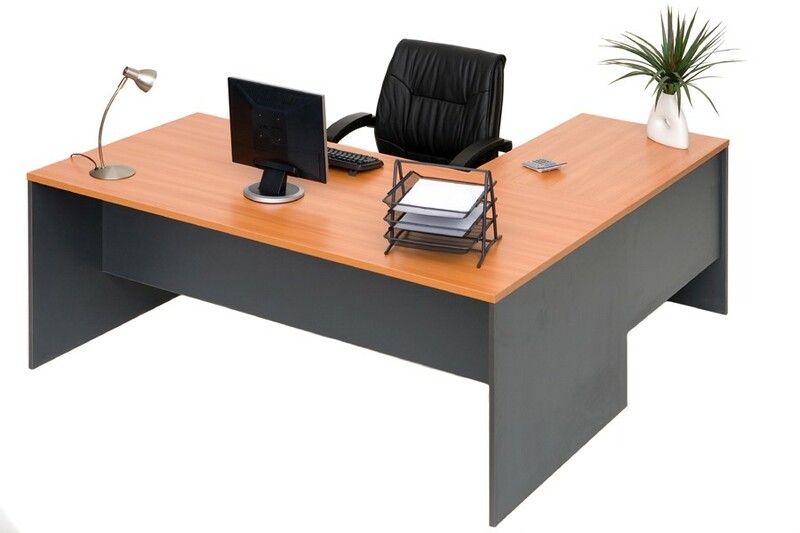 Why settle for second hand when you can have a brand new commercial built desk at a fraction of the retail cost. Please note: mobile or fixed drawers available separately- please inquire or see online store (complete with lock and heavy duty full extension ball bearing runners).